I have always loathed April Fool jokes, but even I managed a smile at the obviously spoof story that Sunderland AFC had recruited a self-proclaimed fascist as their manager. Luckily one from the right (or should that be far right?) 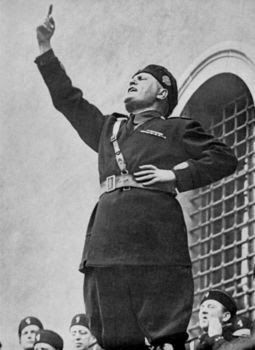 side of the north-south European divide that ensures Hitler a permanent place in our collective memory as the supreme example of total evil; yet permits a rather more indulgent view of his Italian counterpart Mussolini as a vaguely comic incompetent, except in the matter of making the trains run on time. 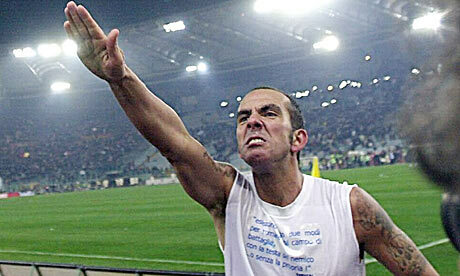 Perhaps, if Signor Di Canio fails to save his new club from relegation, fans might refrain from hanging him upside down from a lamppost and allow him to apply his skills to running East Coast Trains instead? 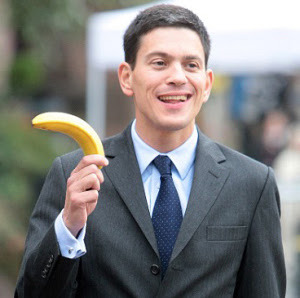 But the Sunderland appointment, and resulting shock departure of David Miliband (whose resignations apparently come, like buses, in appropriately banana-like bunches after a long and tedious wait) was by no means the only hilarious moment of the last week. 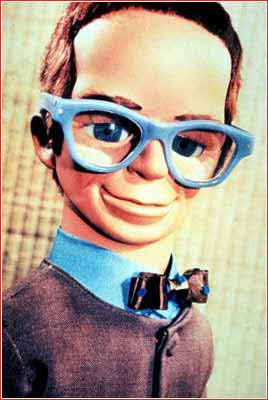 There was the original Miliband departure for an organisation called International Rescue (stop now, my sides are aching), which can presumably only be capped next April by his brother going off to fly Fireball XL5. Then there was that obviously comical loon in North Korea declaring war on his neighbours and threatening the United States with nuclear annihilation, in the manner of a small boy with a pea-shooter squaring up to a Challenger tank. My, how we shall chuckle about that in a few weeks as we crouch in the cupboard under the stairs with a meagre supply of tinned food, waiting for the fall-out “all clear” from sirens that were scrapped as part of the Government’s civil defence cuts of 1991. 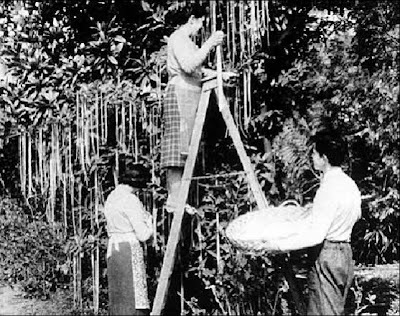 It set me thinking of other great April Fool spoofs of the past, from Richard Dimbleby’s spaghetti trees on Panorama to the classic BSE scare – as a result of which, you may recall, we are currently supposed to be dying by the million from an incurable brain disease called new variant CJD. Except that, in reality, the highest death toll exacted by BSE seems to have occurred in the 1990s, among beef farmers driven to suicide by stress. Then we were all going to die of salmonella in killer eggs, listeria in killer cheese, the total collapse of civilisation as a result of the Millennium computer bug, dioxins, asbestos, lead in petrol and the deadly HN51 bird flu pandemic, in the unlikely event that we survived childhoods blighted by ritual Satanic abuse. Luckily all these grave threats were somehow averted, after the expenditure of many billions of pounds on tighter regulations and improved procedures. Supervised by armies of civil servants and consultants, who have all done a fantastic job of keeping straight faces and never letting on that it was all a huge joke at our expense. 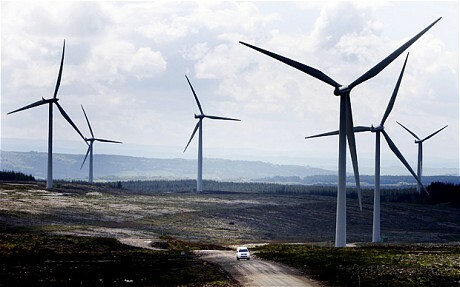 Similarly, I marvel at the way applicants for wind turbines manage to stop themselves giggling as they spout their regulation guff about how they are doing society a favour and helping to save the planet by wrecking our glorious unspoilt landscapes in pursuit of a quick profit for themselves. But sadly we cannot dismiss global warming as yet another April Fool joke, despite the evidence of the remaining snow outside my window as I write this, because the beauty of this particular mega-scare is that we will all be dead before anyone can pronounce authoritatively on whether it had any basis in reality. This is the true genius of the climate change scaremongers, and one that should be taken on board by all would-be April Fool jokesmiths of the future. There is no point coming with a threat that we can see through by 12 noon on April 1, or even a year or a decade later. Make it one that threatens to wipe out humanity in a century or more, so that the gullible can fret about their grandchildren and insist that we all turn our lives upside down trying to protect the interests of the unborn. Surely this has to be a far better jape than pretending to organise a fascist rally at the Stadium of Light (or should that now be Night)?